The Treaty of Passarowitz 1718 had left the Austrians in control of Belgrade with Ottoman Bosnia restricted closely to its modern border behind the Drina, Sava and Una rivers. Austria was allied to Russia by a secret treaty but was reluctant to attack following the Russian invasion of the Crimea in 1736. Prince Eugen died in 1736 and Austro-Russian relations were strained. Nonetheless the Emperor Charles VI demanded that Austria honour its obligations and enter the war on Russia's side the following year. With their mediation efforts Austrian diplomats managed to delude the Turks as to their intentions and the element of surprise was achieved when the Austrian army invaded in July. The overall Austrian commander was the 63 year old Field Marshall Seckendorf. An experienced soldier who had fought in the 1717 campaign. He was disliked by his subordinates and the Hofkriegstrat in Vienna largely because of his blunt manner as well as being a Protestant. Command of the detached corps tasked with invading Bosnia went to Prince Hildburghausen. A favourite of the Emperor who had only reluctantly admitted he was too young and inexperienced for supreme command. Turkish sources claim that between 100,000 and 150,000 Austrian troops invaded Bosnia. A claim that was clearly exaggerated given the parlous state of Austrian finances. The entire Austrian army probably numbered little more than 57,000. 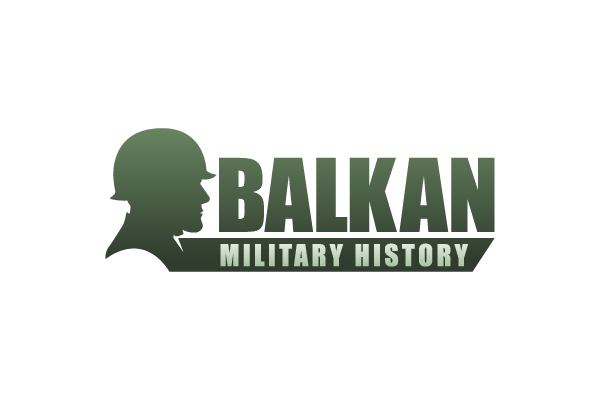 The main army in Belgrade had some 26,000 infantry, 15,000 cavalry and 3,000 irregulars. Allowing for the other detached corps in Siebenburgen (Transylvania) it is unlikely that Hilburghausen's detached corps exceeded 15,000. Seckendorf was scathing about the quality of his army. Recruits were described as poor specimens, with few veterans and irregulars who preferred stealing to fighting. He regarded many of the Generals as incompetent and as usual for Austrian campaigns in the Balkans, the supply situation was chaotic. The Austrian army was organised in a similar manner to other Western European armies of the period, albeit with some modifications for warfare against the Turks. Some line infantry are pictured with a breastplate (unlikely to be worn for long on campaign), heavy cavalry provided by cuirassiers and dragoons. Irregulars included Hungarian Hussars and Croat, Slavonian and Serbian foot. The state of Bosnian roads would have discouraged heavier artillery pieces, although battalion guns and heavier field pieces were present. Hildburghausen had submitted comprehensive reform plans for the military border including forming the Grenzer into battalions. However, despite what Rotherberg describes as "surprisingly prompt imperial endorsement" full implementation was delayed and the the outbreak of hostilities halted the reorganisation. Hochedlinger describes the Austrian army as being "dominated by the hesitant manoeuvring so characteristic of eighteenth-century warfare in the western half of Europe". The Vizier of Bosnia was Ali Pasha. Recently appointed he was regarded as unusually energetic and decisive. The son of a renegade Venetian physician and a former Grand Vizier he had previously been victorious against the Persians. His forces were weakened by 5,000 'chosen men' serving against the Russians. The remaining forces totalled 20,939 militia that would include some mounted Spahis, many of whom were former Hungarian Timariots motivated by memories of what had happened to their families north of the Danube. The bulk of the army would consist of Bosnian frontiersmen, irregular light infantry together with regularly paid fortress troops. In addition there were at least 5 companies of Janissaries. The main Ottoman army was benefiting from the limited military reforms of the Sultan Mahmut I. Janissary discipline and training were improved, the timar system reorganised and foreign expertise recruited including the French artillerist Bonneval. Following the loss of Gradiska in the 1717 war the main Ottoman fortress in Bosnia was at Banja Luka. This had seven outer towers (Vauban style) and a single inner dungeon housing 19 large cannon, 314 smaller guns and 112 mortars. The militia garrison probably did not exceed 1500 cavalry and infantry. The garrison at Cetin had 421 men and Buzin 213 together with modest artillery. Zvornik, facing the Austrian advance from Belgrade, was another Vauban style work with 4 large and 12 medium guns and a garrison totalling 447 militia. The strategy was therefore to strengthen the garrisons while Ali Pasha gathered a militia force to give battle if a suitable opportunity arose. Whilst Seckendorf and the main Austrian army advanced south down the Morava Valley to Nish, Hildburghausen advanced on the fortress town of Banja Luka. 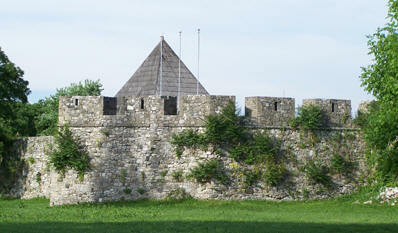 A second column built a palanka (fortified base) at Gradishka on the River Sava and besieged smaller forts at Buzin and Chetin (western border). The third column attacked Osterwitch-atyk (Hungarian Dalmatia) and the fourth came from Belgrade to besiege Zvornik on the River Drina. Bosnia was therefore quickly cut off from the rest of the Ottoman Empire. Nish and all of southern Serbia fell to Seckendorf's army. In response Ali Pasha ordered a concentration at Travnik and reinforced the fortresses. A force under Osman Bey relieved Osterwitch-aytk. Militia forces from Banja Luka harassed Hildburghausen's force causing serious casualties. Ali Pasha and his council decided to concentrate on the main threat at Banja Luka which was under close siege. When Ali Pasha arrived at Banja Luka his army came down from the hills onto the plain . The Janissaries in the centre with the Spahis and light troops on the wings. The Austrians had been reinforced with 8,000 regulars and Serbian irregulars who had taken part in the capture of Nis bringing the total strength to around 20,000. They took up a defensive position with light cannon and infantry using a bend in the river to protect their flanks. The centre and left wing pushed the Austrians back and Hilburghausen reinforced his position with troops from the other side of the river. After some four hours of fighting the Ottoman right wing commander Ali Mohammed broke through and cut off the bridges. The Austrians fled, although most were slaughtered or drowned in the River Verbas. Only two hundred escaped. The besieging force retreated leaving heavy weapons and equipment to the victorious Ottoman army. The success at Banja Luka encouraged local Ottoman forces under Ahmad to relieve Buzin and Chetin. Ali Pasha brought his army to the east and in a series of small scale actions at Sokal, Walewe and Rud the Austrians were repulsed from the Bosnian borders. In 1738 the Ottoman forces took the initiative with a series of raids into Austrian territory. With the arrival of the main Ottoman army in 1738 Bosnian forces reinforced by Tartar troops crossed the Una and captured the fortress of Ziren and devastated the border areas. Ali Pasha then concentrated his army and joined the main Ottoman army commanded by the Grand Vizier besieging Belgrade. The war ended with the Peace of Belgrade on 18 September 1739. The Austrians gave up northern Serbia, Belgrade and portions of Bosnia and Wallachia. Northern Bosnia whilst lacking the mountains of central and southern Bosnia is still rough terrain. Ali Pasha benefited from operating on interior lines from his mountain base in Travnik. Communications were mainly along the river valleys from the mountains to the Sava river. 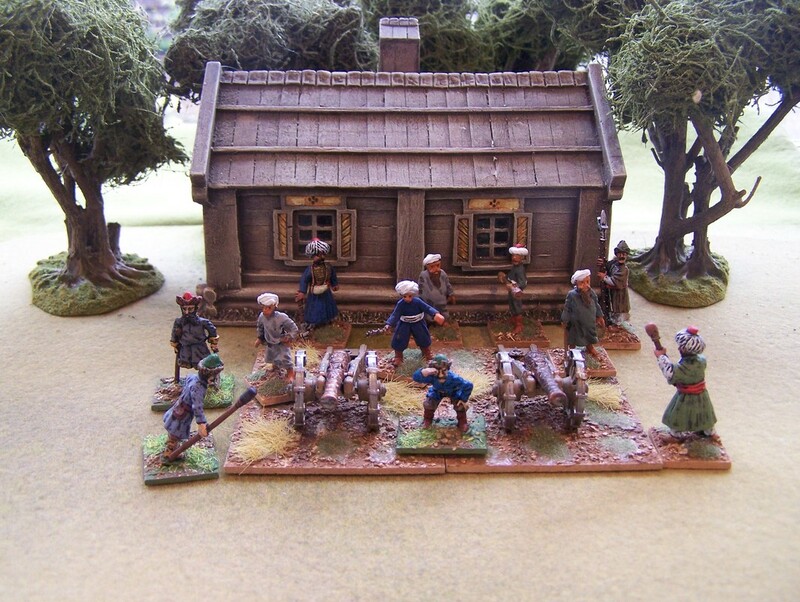 Whilst there were few large scale battles other than Banja Luka, the campaign involved numerous smaller scale actions which would fit easily onto the tabletop. Wargame figures present few problems. 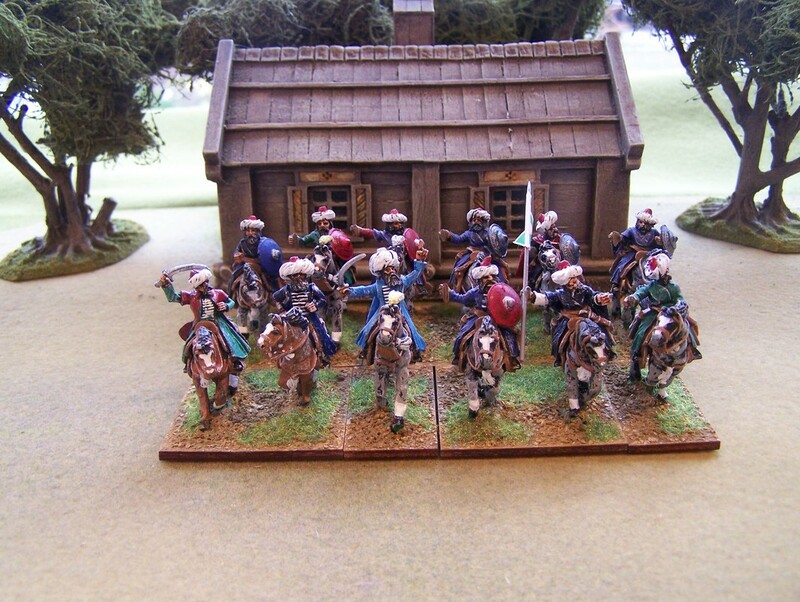 Mid 18th Century Austrians are represented in most scales and the Ottoman forces can be selected from a mixture of Renaissance and Napoleonic ranges. English language sources for this war are scarce although the gap has recently been ably filled with Michael Hickok's 'Ottoman Military Administration in Eighteenth-Century Bosnia". This article relies heavily for the Ottoman view on 'History of the War in Bosnia 1737-8 and 9' an 1830 translation of Ibrahim Basmajee's 'Account of the War in Bosnia'. This is a colourful account of the war in period style, if somewhat lacking in objectivity! Credit should go to Gareth Simon's, Pallas Armata for making these volumes available to a wider audience. Lavender Cassels 'The Struggle for the Ottoman Empire 1717-1740' is strong on the diplomatic background. Seckendorf's perspective can be found in 'Versuch einer Lebeensbeschreibung des Feldmarschall Grafen von Seckendorf', of which I have only seen a partial translation. the Austrian diplomatic history is covered in Karl Roider's 'The Reluctant Ally' and in his broader study 'Austria's Eastern Question 1700-1790'. Other general works consulted included William Coxe 'History of the House of Austria' and Stanford Shaw 'History of the Ottoman Empire and Modern Turkey'. On the Ottoman Army, David Nicolle 'Armies of the Ottoman Turks 1300-1774' and 'The Janissaries' as well as Godfrey Goodwin 'The Janissaries'. The Austrian army is covered in 'Austria's Wars of Emergence 1683-1797' by Michael Hochedlinger and Gunther Rothenberg's two volume history of the military border in Croatia.